Those wanting the biggest and most expensive hotel room in historic Charleston may soon have another choice. The new St. Philip Suite at the Planters Inn in the City Market is expected to rent for more than $2,000 a night when the price is finalized. It’s likely to cost more than the presidential suite at Charleston Place, which was renting for $2,115 a night last week. "This has got to be the nicest room in the city,” owner Hank Holliday said during a recent tour. "My sense is that the St. Philip Suite will become one of the most sought-after rooms in the city and in all likelihood the most expensive." 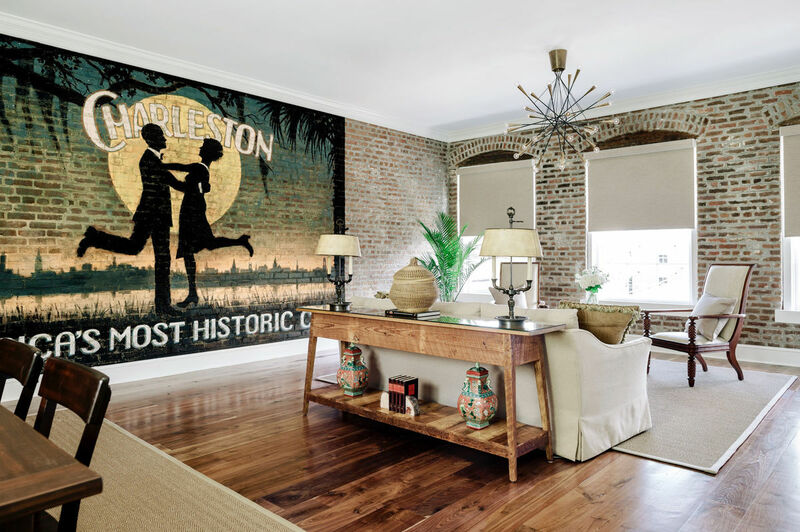 The Charleston native has been buying and upgrading properties for years and has has been one of the forces moving the City Market more upscale. The St. Philip Suite boasts 1,400 square feet of space, compared to 1,195 square feet at Charleston Place. Three windows, with remote-controlled blinds, overlook the Market and the steeple of St. Philip's Church, the room's namesake. The floors are walnut and the east and south walls the original brick. The dining room table can seat 10 guests in historic Charleston style, with the meal either by prepared in the full kitchen or catered from the hotel’s Peninsula Grill, one of the city's highest rated eateries. The bedroom is set back from the street behind thick walls to keep it quiet. It’s on the third floor of the hotel’s piazza wing, where rooms have their own entrances overlooking a courtyard. The St. Philip Suite is the biggest of 11 rooms that are being renovated for a more demanding and affluent clientele. "We did it to distinguish ourselves from the competition," Holliday said. "There is an ample supply of hotel rooms coming on the market, and we want to make sure we got the nicest show in town." Guests include referrals from Relais & Chateaux, an exclusive network of luxury hotels and gourmet restaurants in 55 countries. The Planters Inn is the only hotel in the state that's part of the network. The renovation also includes the 1,100-square-foot City Market Suite, which features a separate bridal dressing room. The living area also has three windows facing the Market. That suite will rent for about $1,100 a night, according to Sergio Roa, Holliday’s company president who has been overseeing the renovations. Nine 700-square-foot rooms called the Garden Courtyard Suites should start around $569 a night. They have high ceilings, white oak floors, sliding barn doors on the bathrooms and a separate door on the water closet. One of the hardest parts of the renovation was opening up eight windows that had been bricked over when the space was a nightclub, Holliday said. He added that he was glad to see many of the bars moving from the Market to northern King Street and being replaced by nicer restaurants. "Noise was major issue." he said. "An upscale client does not enjoy having a drunk outside at 2 a.m."
Holliday bought the Planters Inn in 1994, refurbished it and opened the Peninsula Grill. He bought the two buildings to the east to bring the number of rooms to 64. He ended up buying and upgrading 19 properties in the Market. He and partner Steve Varn, who owns the nearby Andrew Pinckney Inn, finished the renovation of the City Market’s retail spaces in 2011. Other hotels in the Market are also renovating for a more demanding clientele. Holliday owned the 212-room DoubleTree Inn at North Market and Church streets until he sold it in 2015 to Rockbridge, a real-estate investment firm based in Columbus, Ohio. At the time, Rockbridge CEO Jim Merkel said in a written statement that his firm plans to reinvest in the hotel "to enhance the strength of its location and physical attributes." Both Holliday and Varn said Rockbridge is planning to invest more than $20 million in a major renovation, although the plans have not been disclosed yet. "The owners prefer to keep the renovation plans confidential until they have decided on the entire scope and time frame," Michael Tall, CEO of Charlestowne Hotels, which manages the property, said in an email. Varn is also planning a significant renovation of his hotel. "Some of this is just the result of normal wear and tear, but we will go to a higher-end renovation as a result of what we’re seeing in the marketplace," Varn said. "The Market area is going upscale, not just the hotels but also the restaurants." The Spectator raised the bar when it opened in 2015. Now at least half a dozen other new boutique hotels are planned within a couple blocks of the Planters Inn. "The Market area is really becoming an upscale location, versus what it used to be, which was the tacky tourist district," Varn said. "I think the renovation of the Market was one of the catalysts for this change." The city has been working to improve the flooding with a new drainage system. A renovation of the streetscape is expected to start in a couple years. Jay Keenan and Batson Hewitt, partners with Palmetto Commercial Properties, developed The Spectator, as well as the French Quarter Inn and the HarbourView Inn. Keenan says the high-end market has certainly been growing, although he's not sure how much. "If you’re going to charge the kind of rent that Hank is talking about, it’s going to be a very discerning traveler," he said. "I hope he does well with it. If he does, then we will." What concerns him is whether there is really enough demand for all the new hotels in the Charleston area. “I know if Batson and I were going to do another hotel, we’d be scratching our heads and saying we’d better wait and see what’s going on in this market," he said. "Is there enough demand to handle all this new product? I’m doubtful. I’m doubtful about that."